Like so many toy photographers, I carry a pretty much permanent selection of toys in a toy box in my bag for quick photo sessions. I’ve previously talked about my travelling tin TARDIS. That was back in 2017. Things have both changed and stayed the same since then. This year I’ve got a slightly bigger toy box in my bag. Three months into the year, I thought I would share what’s currently in there and some of the thoughts behind the choice in figures. What’s in my toy box today! My sig fig is mostly the same as she was previously, although she does have a new jumper. She’s still out and about a lot, particularly at work conferences and almost always with a camera! 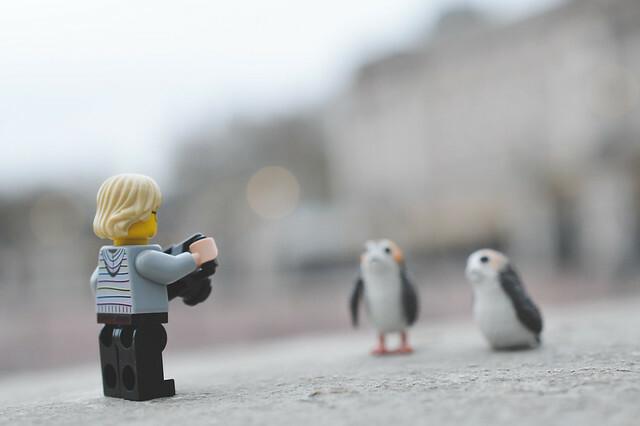 What else would you shoot at Buckingham Palace but a couple of Porgs? 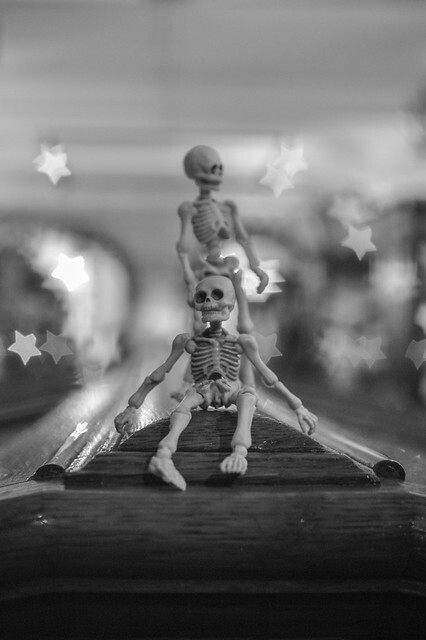 I’ve had a pose skeleton in my toy box for a long while now, but I recently got a second figure. Now they travel as a pair, exploring the world together. Some things just work in pairs! Still in my toy box, and still making me smile, is skelewings. Whilst I haven’t photographed this figure as much over the past few months as I probably could have, I’m still really drawn to it and am reluctant to move the figure to the ‘at home’ toy boxes. 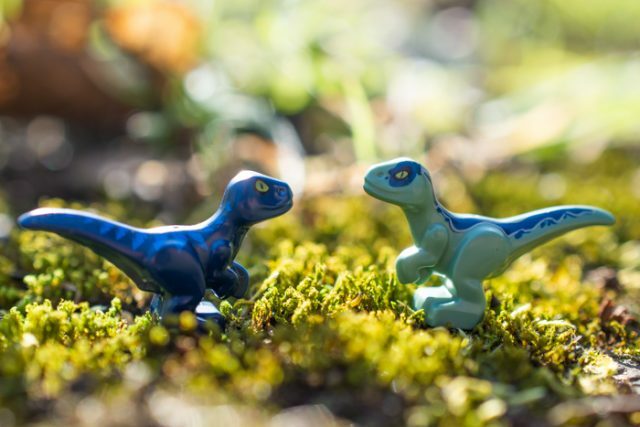 Who can resist having a tiny toy dinosaur in their toy box? Blue is travelling with me at the moment, but often the other one comes too. And some of the Good Luck mini dinos for good measure. I might have a small dinosaur thing going on at the moment. Snape and Stormy, whilst still two of my all time favourite figures, are taking a holiday from the travelling toy box but a few new figures have crept in recently. This group of figures have been in my box since I got them. I’m always on the lookout for good places for them to explore. The range of colours means you can often find the right background for them to work in. Benny’s feeling left behind by his teammates. Not featured in my 2017 toy list, Wall-E is now a firm staple in my travelling box. He comes pretty much everywhere with me, looking cute in both sun and snow. I only wish I could fit my big LEGO Wall-E in my bag all the time! 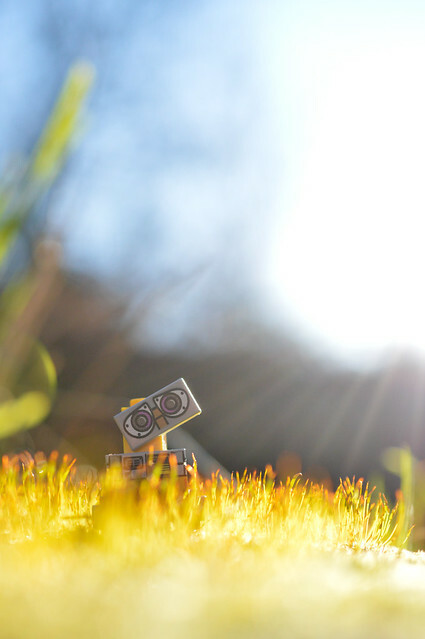 Sunlight is good for tiny robots! I’ve branched out since my last post about travelling toys. 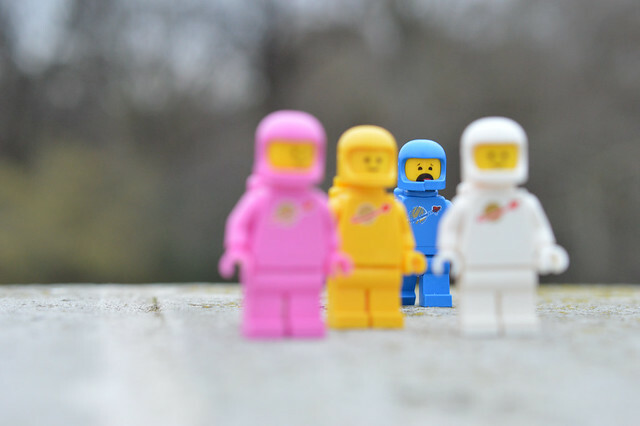 There’s a lot more than just LEGO in there and that includes some cute critters. I wrote about these Good Luck Minis in my last blog post a few weeks ago. This sloth is one of the ones that is now always there in my box, ready to cling onto something at a moments notice. As long as he’s not down for a nap that is! 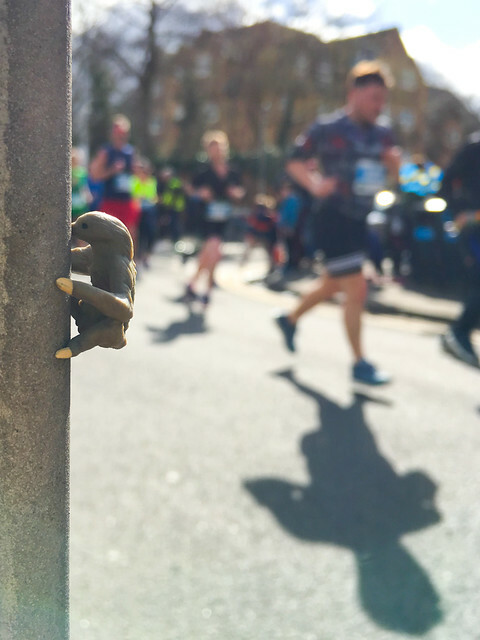 Hanging around at the Reading Half Marathon! 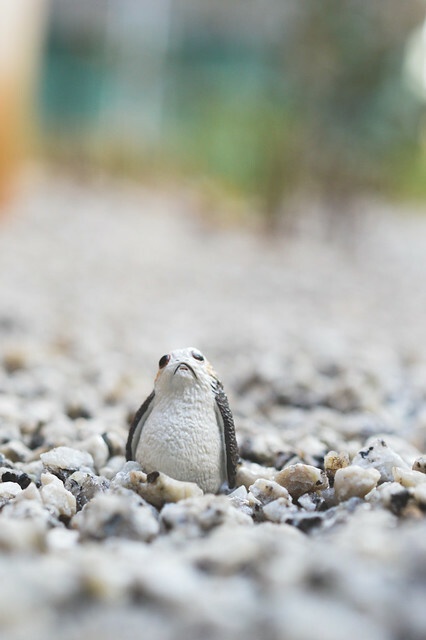 New since Christmas, I’ve been taking my Porgs everywhere. I only have two currently, but more will follow! They are adorable and fit an entire range of situations and environments! This one was taken in a flower bed in London. 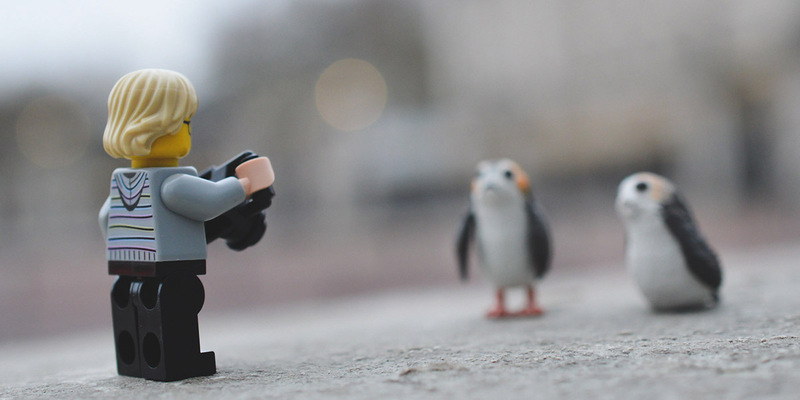 Are Porgs taking over the capital? In addition to all this, there’s also a pile of accessories ready for any occasion. From umbrellas, to coffee cups, to a camera, there’s everything a toy out and about might need! Now I really need to just stop carting all these things about with me and actually shoot some more photos! What’s in your current travelling toy collection? Is there anything you think I’ve missed and should include? Let me know in the comments! 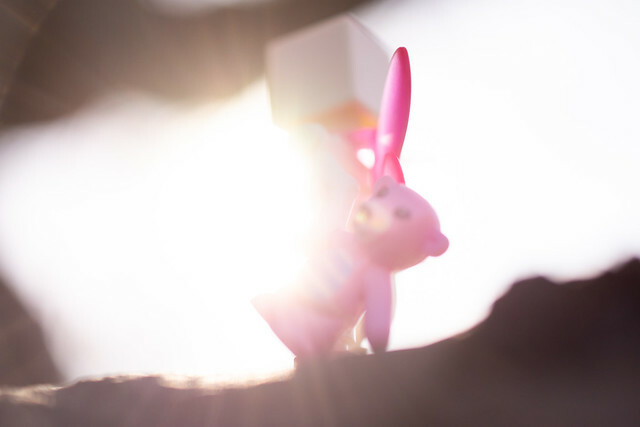 Want to stay in the loop with all things Toy Photographers? Subscribe to our weekly email round up so that you never miss a post, and subscribe to the podcast! You can also continue the discussion in our new communities on MeWe and Flickr. I do all of my photos indoors, so I don’t have a traveling toy box but I still enjoyed reading about yours 🙂 And I love the new torso for your sigfig! I admire the minimalist approach to your traveling toy box. I usually take far more than I’ll need or every photograph. I really do need to adopt your “less is more” tact! 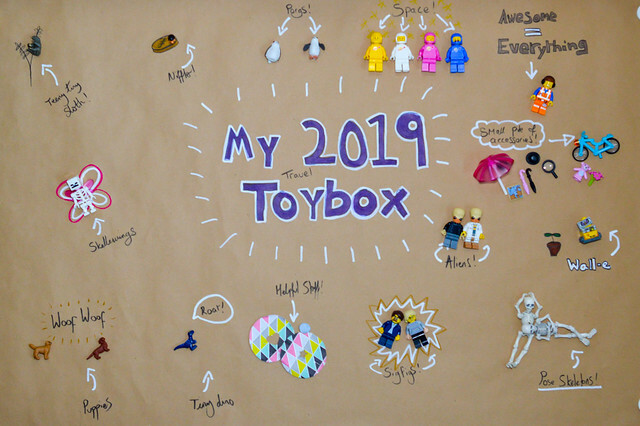 I really like your box and I think it will inspire me to add a few more things to my box.